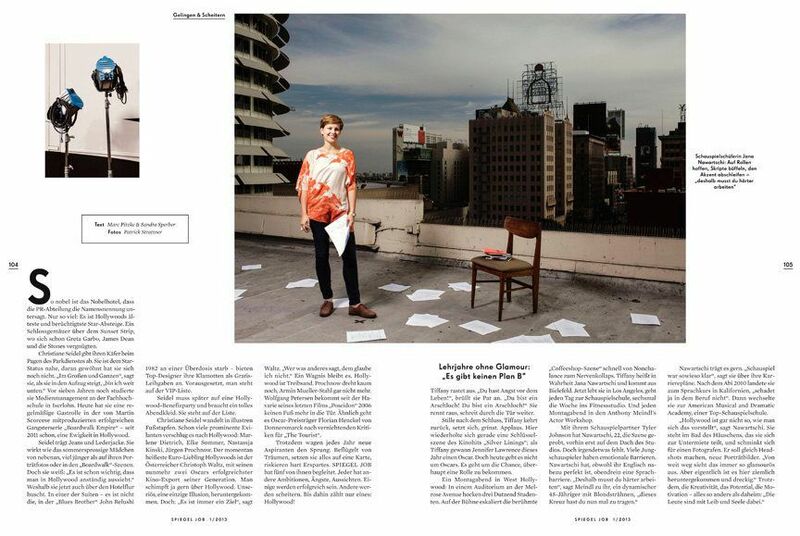 AMDA LA acting student Jana Nawartschi is featured in the new issue of the German magazine Spiegel! Jana talks about what the experience was like for her below. Check out Jana in a video about the story. "A few weeks ago a journalist from the German magazine 'Spiegel' contacted me through my website. She asked me if I was interested in being a part of a printed article and short online feature about Germans living and working in Hollywood. I was very surprised that she found me since I had just put up the website myself a few months back. I was super excited and said yes. The journalist and her partner, who live in Washington DC, came for one day to visit me and follow me around throughout my day. I had an acting workshop and a photoshoot scheduled for that day, so they acompanied me. We met at my place and did the interview there and then went to the shoot and workshop. It was a very interesting experience to have two people follow me around with cameras and microphones to document everything I do. It was a lot of fun but obviously something I am not used to. It was a really great day and a wonderful experience. 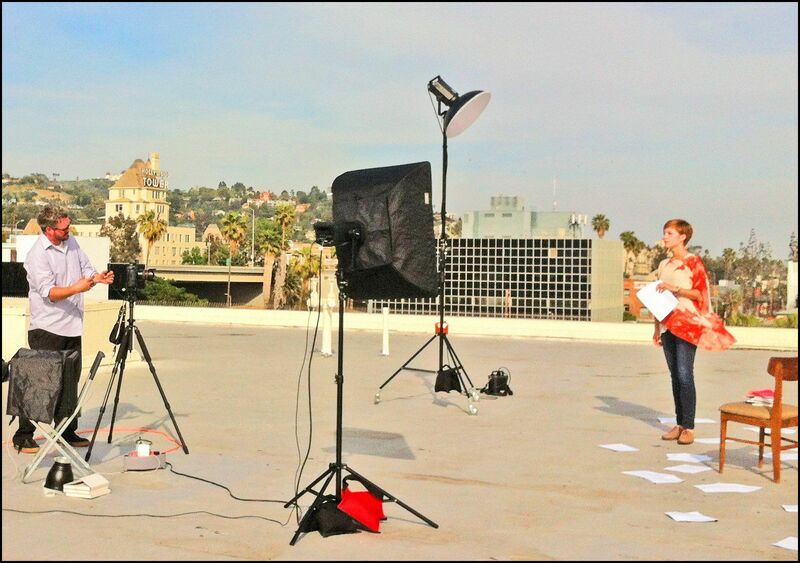 Two weeks later they sent another photographer to take a cover photo for the article and we decided to take the picture on the roof top of the AMDA Vine building. The pictures turned out very cool. This whole experience showed me again how important it is to have all your things in order so you are able to jump at every opportunity that presents itself. Have a website, your headshots, a business card and check your emails everyday. It was a great example of preparation meeting opportunity and a motivator for me to keeping working harder."